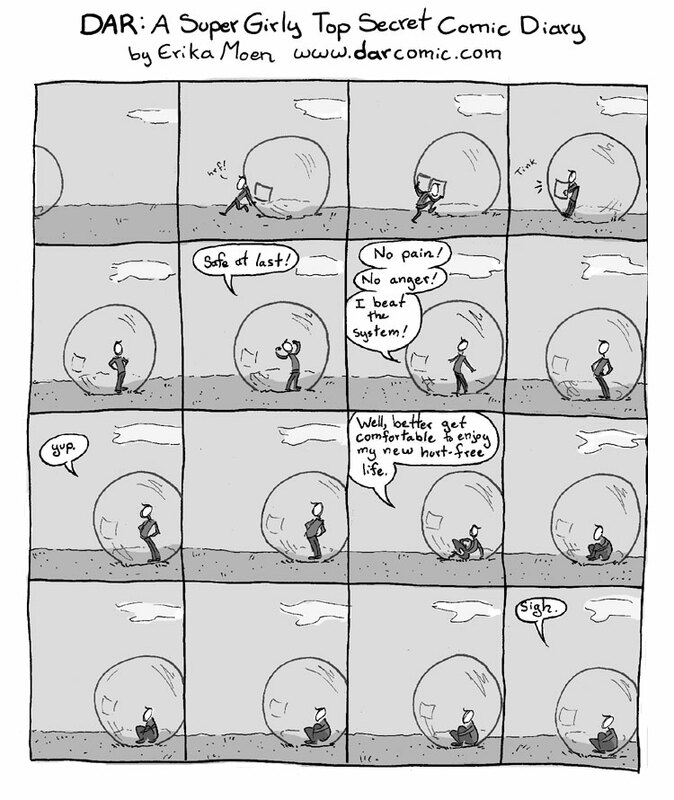 Yeah… the bubble is boring ^_^ But I love chaos to the point where I would marry it, if it was legal to marry an existential concept. making you forget where you’re from and what’s behind. wut is life without a little bit of hurt every now and then? This greatly reminds me of XKCD. Plus side of that though, in my case, if you do it young enough, you have so much trouble with social interaction that no one can read your facial expression or tell when you’re lying 8D! When you fart in the bubble, you can’t get away from the fumes. That is the trouble with bubbles. I give him about 3 hours before the greenhouse effect kills him. Ouch. This one hit me where it hurts. Good work! On the other hand, there are those bubbles you can bounce around in. They’re totally rad. You should have climbed into one of those. This is where I am in my life right now. It seems as if my life is defined by what I cannot do. Thank you for sharing, this is very touching.